This may appear as a simple logo design, but truth be told, it might be one of the most difficult design projects I’ve ever had to do. 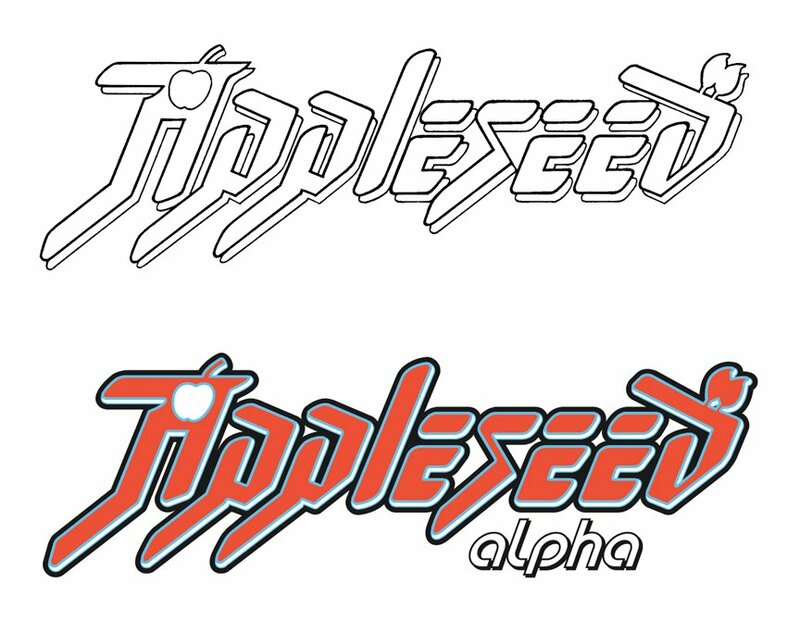 The original Appleseed logo was designed by one of my personal heroes, living legend Tom Orzechowski. Tom was probably the first letterer / designer that I knew by name as a teenager, and his lettering run on X-Men directly contributed to my love of type design. Add to that the fact that Appleseed was probably the first anime that I ever actually saw all the way through, so this was kind of a big deal to me personally. When I was told Kodansha was going to be doing a collection of Appleseed stories called Appleseed Alpha, I pleaded with them to let me use the original logo, to which they agreed. The only problem was, no one had a modern vector version of it. I contacted Tom directly and he was kind enough to give me a copy of his original hand drawn logo done with pen and ink. I then had to go about drawing over the top of it digitally, updating it without trampling over what made it so great to begin with. There are so many nuances and irregularities that are invisible to the average eye, that almost no one would see, but contribute to the overall feel of the design. Look at the p’s and the e’s–they all look the same, right? They’re not; dropped on top of each other, they do not line up at all. That’s not a mistake; that’s character–the difference between the two is razor thin sometimes, but it is incredibly important. After many laborious hours of going back and forth between versions with varying degrees of similarity, this is what made it to the final cover. I wanted to make sure that anyone that was paying attention would know that this was not the exact same logo, but clearly in the “family” of the original. I was ultimately pretty happy with it, and Tom was okay with it. About a year later, Tom, Nate Piekos, my wife Paige and I all went out to dinner during New York Comic-Con. It was an amazing evening, and I’ll never forget it. I tried to express to the man what his work had meant to me, but words really did fail me, and Tom, much like myself, seemed to feel a bit embarrassed by praise. If nothing else, I have this bit of work I did in the footsteps of one of my idols, and I consider it a bit of a love letter to all the joy his work has given me. A more in-depth look at the process involved with certain projects.